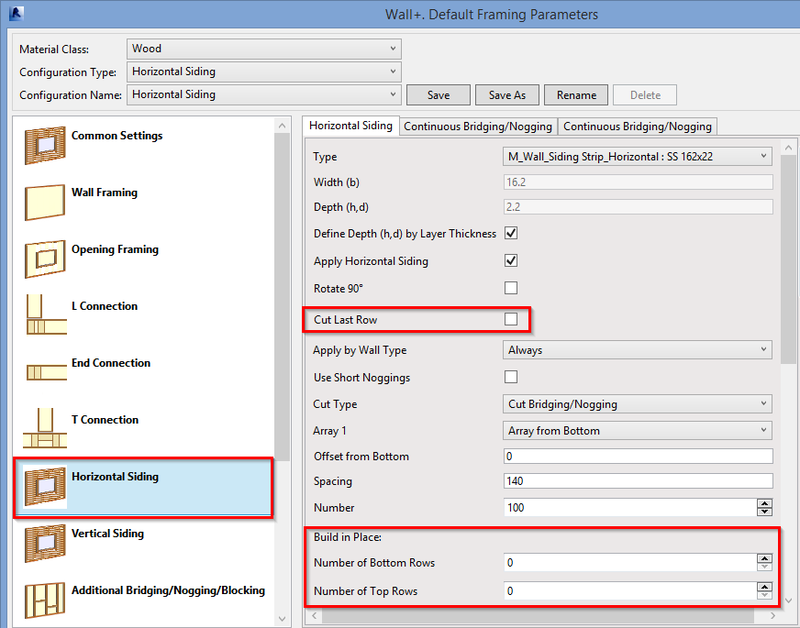 New build of Wood Framing Wall+ is released! Hot news for Revit® users! We want to fulfill as many our client requests as possible before suspending development of 2015 version and proceeding to 2016 and 2017, therefore today our team has released a new Wood Framing Wall+ update. 1. From now on you can automatically add Additional Bridging as regular bridging. If Rotate 90 is not ticked, then you can apply Number of Rows setting. Such bridging will not be deleted during modification process. 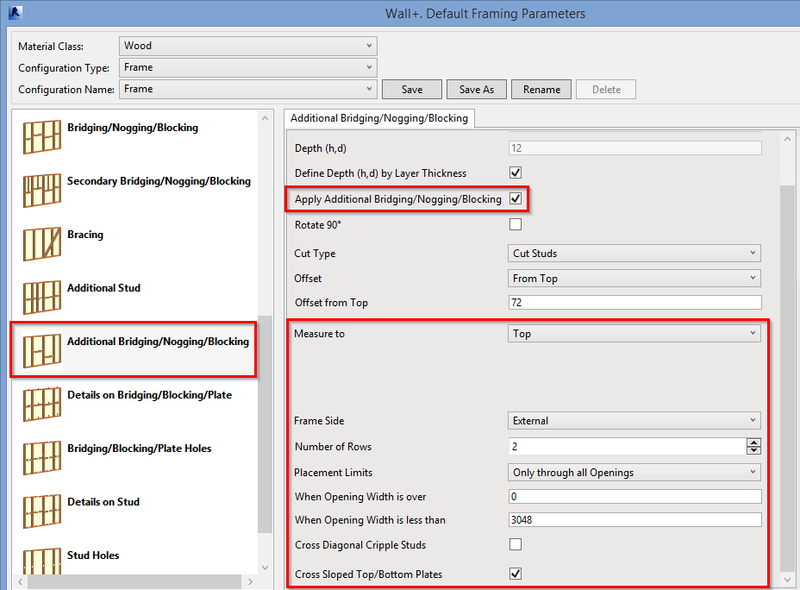 This feature allows user to add/modify bridging manually, for example above selected window. To modify such bridging please use Modify Additional Element feature. Use M_Wall_Frame Bridging-Backing Plate family if you need to create two rows of bridging. Number of Rows = 2. Use M_Wall_Frame Top Plate Support family if you need to add one bridging from internal and one from external side of wall layer. Number of Rows = 2. Cut Last Row parameter works only with the latest siding family. Additionally added Build in Place settings. 4. Improved modification possibilities of Additional Studs, Additional Supports, and Additional Briding/Nogging/Blocking. Delete or Move Studs when they collide. That’s all about Wood Framing Wall+ novelties for now. I hope timber-framed building designers will appraise them positively. Your feedback is always welcome – please contact us if you have any comments on our applications for Revit.